Matt Louis, a James Beard Best Chef, Northeast, Semifinalist, 2015 and 2016, and three time Food & Wine nominee as People’s Best New Chef, opened two acclaimed restaurants in Portsmouth: Moxy and The Franklin Oyster House. 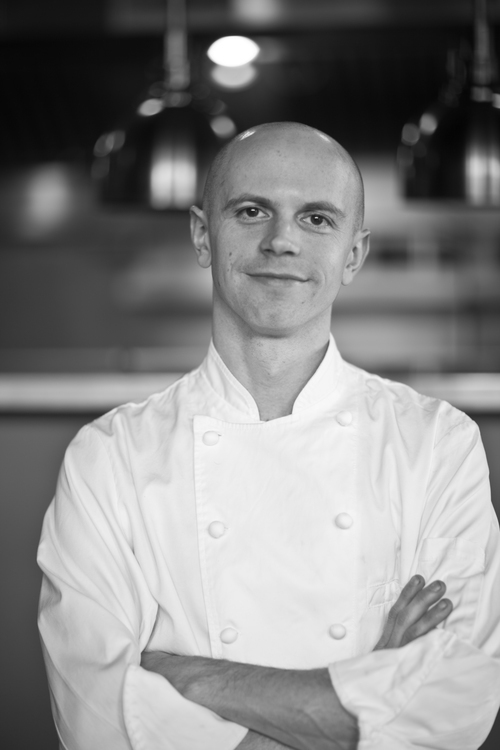 A native of NH and a protégé of Chef Thomas Keller, Matt trained at The French Laundry and was part of opening team at Per Se in NYC. Returning home to his native NH, Matt met restaurateur Jay McSharry and the two opened Moxy and The Franklin Oyster House to rave reviews locally and nationally. Matt creates Modern American Tapas at Moxy, sourcing local ingredients, creating inventive and contemporary tapas with a nod to New England culinary traditions. At The Franklin Oyster House, Portsmouth’s neighborhood oyster bar, Matt showcases the fresh bounty of the sea, with special care for locally sourced oysters at Portsmouth’s own Great Bay. A New England rising star, Matt has earned kudos from The James Beard Foundation, Food & Wine, New York Magazine, The Boston Globe, The Boston Herald, Boston Magazine, Yankee Magazine, WCVB TV5 Chronicle, WMUR TV, The Portsmouth Herald, NH Business, Gear Patrol, Business Insider, The Phantom Gourmet and more. If he’s not on the line in the kitchen, Matt can be found weeding the restaurants’ farm plots or mucking for oysters in Great Bay.